What if donuts were square? Donuts are a lot like pendulums………. As the donut pendulum swings, so does the inference of the donut! Today we take a break from 50 shades of brown to talk about the “donut pendulum”. 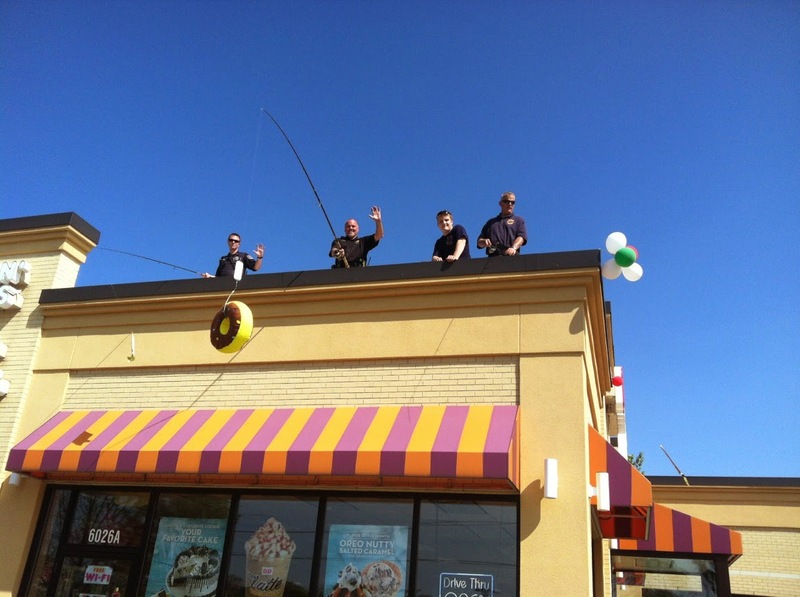 Today in greater Racine, at the Dunkin Donuts on Washington Ave. was an event to raise cash to benefit Special Olympics. Coffee, donuts and cops have had a long and colorful relationship in the United States, some say going back as far as Benjamin Franklin. The efforts of numerous government agencies working together to foster donations for the additionally challenged and greater good of our community was a success. As the donut pendulum goes, the donut pendulum that swung today was a proud donut that represents the good our community servants do for all of us. Thanks Dunkin Donuts for hosting this community event. Thanks to all of you for your efforts and for all the public support and contributions to this worthy cause.